The Law Office of Greg Griffin can help you through the process. Sometimes everything can be resolved amicably, in which case a separation agreement followed by a divorce can be done. Sometimes a court trial is necessary and there is no choice but to be aggressive. Mr. Griffin is ready to help you through that as well. When a marriage breaks up there are a number of issues that must be addressed including divorce, alimony, property distribution, child custody and child support. 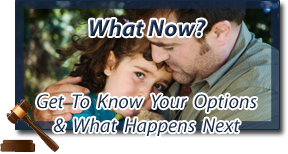 When you are ready to look at your options regarding separation, divorce, alimony, child custody and property distribution, the Law Office of Greg Griffin is here to help. Call us today at 910.592.1583.